SBI PO Application Form 2019– SBI (State Bank of India) has released an application form for the position of Probationary Officer (PO). The form was out on 02 Apr 2019. Candidates can access the form on SBI official website– https://ibpsonline.ibps.in/sbiposmar19/. The last date to fill the form is 22 Apr 2019. SBI PO recruitment 2019 process has three phases– Preliminary Examination, Main Examination, and Group Exercise & Interview. Application Fees for candidates belonging to SC/ST/PWD category is Rs. 125/-. Fees applicable to General/EWS/OBC category is Rs. 750/-. Graduates from any discipline are eligible to apply for SBI PO exam. 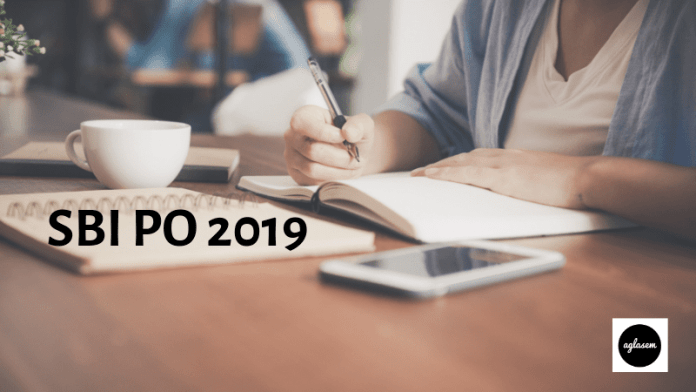 The SBI PO exam’s last date for submission is 22 Apr 2019. The candidate will be able to take printout till 07 May 2019. 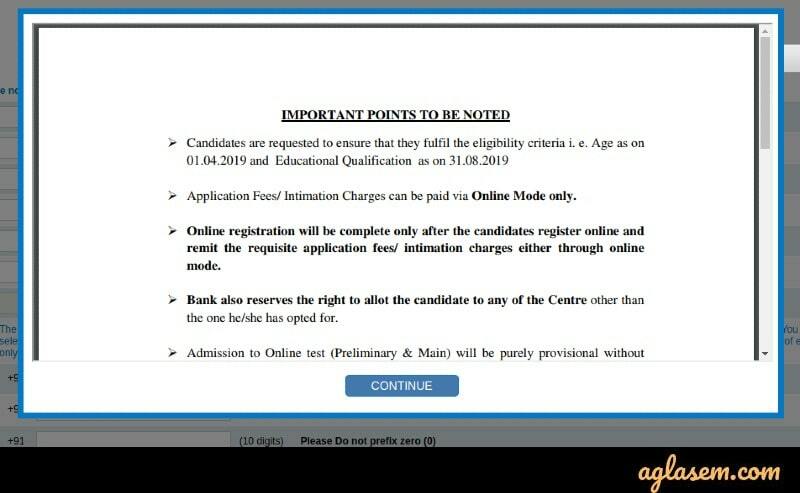 Apply Here – Click here to apply for SBI PO 2019. Mode of Payment: Candidates need to submit application fees after completing the registration process. They can use debit card/credit card/internet banking mode. 5. Click on ‘Save & Next’ button to get the registration number and password. Please note down the same for future logins. 6. On the same page, upload scanned image and signature. 8. Click on ‘Validate Information’. Then click on ‘Save & Next’ button. This will take a candidate to the ‘Qualification/Experience/Language section. 9. On the ‘Preview’ page, click on ‘Save & Next’ button. On this page, please go through every information. If not able to complete the form in one go, then save it as a draft. Candidate can avail this facility only three times. After completion of the registration process, pay the application fee through payment modes. Candidate will bear fees for an online transaction. Download e-receipt and application form. Save the file in a ‘Jpg’ or ‘Jpeg’ format. Candidates in the final year/semester of the graduation can also apply. Need to provide proof of clearing graduation examination on or before 31 Aug 2019 at the time of interview. When applying for the PO Exam, make sure one’s age is neither below 21 and nor above 30 years. 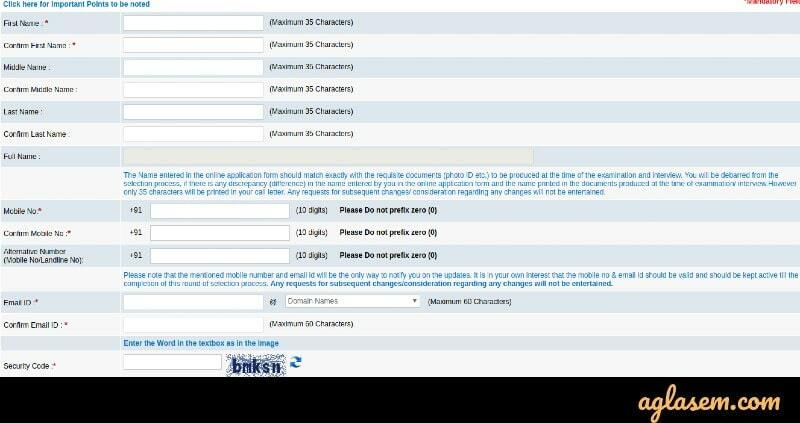 The candidate needs to indicate it on the application form. Candidate and scribe need to submit an undertaking. Candidates will be eligible for a compensatory time of 20 minutes. SBI will not provide Scribe. Candidate needs to arrange a scribe and bear the cost. What if the load time is longer? A. Load time of the Online Application form depends on various factors. It can be because of internet speed, a large number of applicants, and other reasons. Retry after 15-20 minutes. One can also retry after 12 AM. 2. How do I make sure that my application is successfully uploaded? To reach this step, one needs to carefully submit valid information. Please keep the registration number and password safely. It is required for downloading call letter, result, and more. 3. What if my system displays a blank screen or internet gets disconnected? A. On the official website, log in using registration no and password. If RePrint option is not visible, then the application didn’t save. 4. Should I mark an acknowledgment mail or reply to successful registration mail? Please don’t reply or send an acknowledgment mail to SBI. The mail inbox will not accept replies to auto-generated emails. SBI team only replies to genuine queries. 5. Should I share password when writing a query? Do not share ‘password’ detail. Only share a genuine query. 6. What all details I should include while sharing a query? In case of an error, share a screenshot. The format should be JPG or GIF format. One can also share it in an MS Word file. Also, mention Operating System and Internet Browser. 1. What if I don’t receive a confirmation email? SBI sends out an auto-generated email. This email contains registration details like ‘Registration No.’ and ‘Password’. always provide a valid mail. Also, check junk or spam folder. 2. How do I make sure that my application uploads successfully? Please visit the official website for SBI PO 2019. Log in again to check the status. Use ‘Registration No.’ and ‘Password’ for login. Take a print of the e-receipt. 4. What if I receive a Blank/Zero registration number? This happens in very rare cases. Re-register again using valid information for SBI PO 2019. Take a print using re-print option. 5. 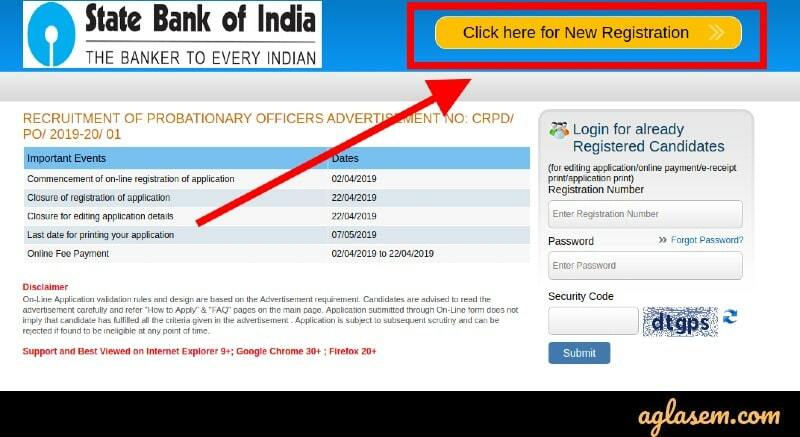 Can I update information on SBI PO Application Form 2019? Select the ‘Edit’ option to correct details before submitting. A candidate cannot modify details afterward. 6. What are the important points that one needs to take care? On tablets/iPads, the static pages will behave differently. 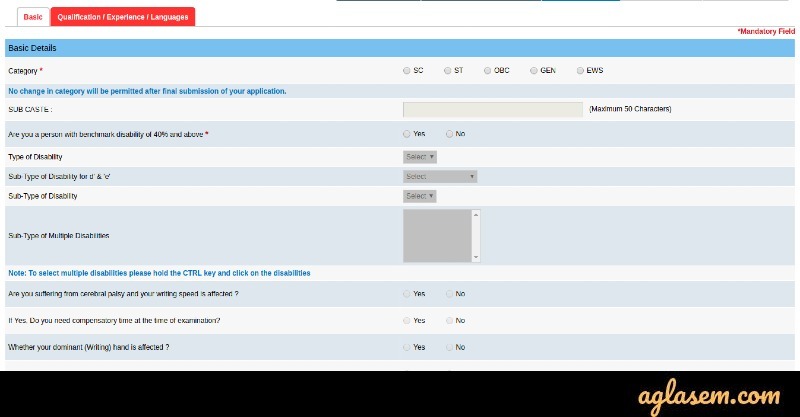 On the online application, the ‘ID & Others’ stand for intellectual disability. This includes autism, specific learning disability, and mental illness. Before filing a grievance, attempt one more time. Use Internet Explorer (9 or above), Mozilla Firefox (20 or above), or Google Chrome (30 or above).